245 days of yearly sunshine. Sapphire waters and whitewashed villages. Marvel at sublime Adriatic views while you pedal. Then be a part of the view as you boat between islands. It's as relaxing as the Caribbean, as historic as Venice. It's a destination reborn, yet it still feels like, as the Croatians say, The Mediterranean as it once was. No reviews yet for this trip. Browse other reviews below for Backroads. I've taken two Backroads camping trips with my teenage son. It's our summer bonding time and has proved to be a better experience than I could have imagined. Highly recommended. Everything is done for you except riding the bikes! We've been to the San Juan Islands and Yellowstone/Tetons. This year, hopefully Alaska! I've taken over 15 Backroads trips and each one was absolutely incredible. Each trip leader has been fabulous -- and the itineraries are simply amazing. The best way to see the world is via Backroads. Trust me. I recently had the most amazing experience on the Backroads Singles-Solos Wine Country to San Francisco Biking trip. I'm not a biker but everyone was supportive of each other regardless of experience level. The routes took us through some of the most beautiful roads in the Bay Area. My favorite part was the food as there were freshly-prepared meals three times a day. A+. 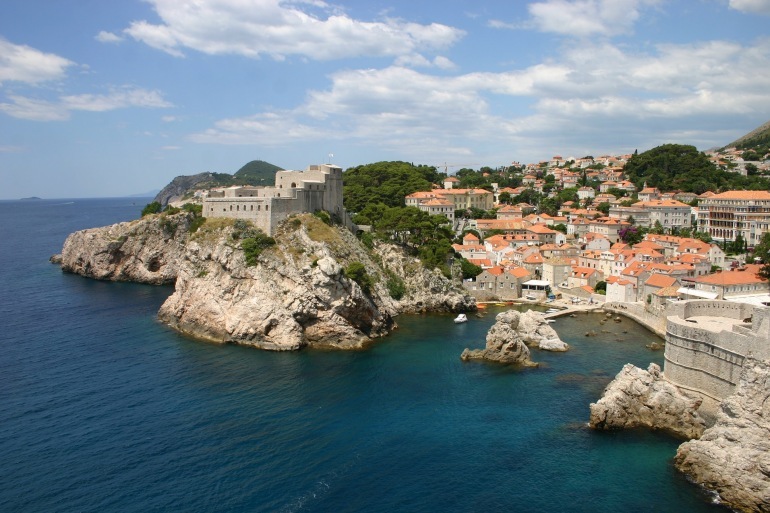 Our first stop is Brac Island, renowned since ancient Greece for its white marble Passing picturesque stone walls shaded by cypress, olive, fig, and orange trees, pedal from seaside villages to the quaint town of Pucisca. After a beautiful coastal spin, tackle a series of climbs to reach Brac's oldest village Head to Hvar, a chic isle where average annual "sun fall" is 2,724 hours Our friends Mate and Michaela invite us over for a home-cooked meal made with ingredients from their garden Bike amid jagged limestone cliffs and undulating rosemary and lavender fields Visit Vinko and Darinka, whose family has been making wine and grappa for generations; let's join them for a taste! Ready to cool off? Take the plunge in refreshing waters off quiet beaches The Hvar Town harbor sets off brilliant sunsets. A hilly route leads you around Korcula Island, lush with vineyards, olive groves and forests Explore elegant Korcula Town, a fortified medieval village and former Venetian settlement - it's a reputed birthplace of Marco Polo Savor lovely ocean vistas and charming villages on a final spin. Take in views of this World Heritage site during a guided walk atop the magnificent city walls. A Renaissance family palace on the waterfront and a registered cultural monument dating from 1497. Note: ** Rather than paying the cancellation fee, you may choose to keep your trip deposit ($600) in a holding account to use on a future Backroads trip with no expiration date.